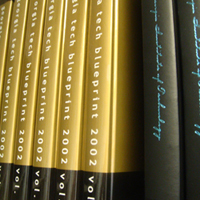 The Blueprint is in its 111th year as the student-produced yearbook of the Georgia Tech community. The 2017-2018 Blueprint will consist of over 300 color pages featuring articles and poems highlighting student life, academics, sports, organizations, Greeks, campus events, and graduate and undergraduate portraits. From the front cover to the index, our volumes are 100% student written, designed, and photographed. Every student that attends the Commencement Ceremony in either semester will have their portrait in the Blueprint. Photos are taken by GradImages at the ceremony at no extra charge to the student. This year, we will be accepting poems of any kind about events around campus. Please email your submissions to gatechblueprint@gmail.com. Have any questions? Email Jordan Davis, Editor-in-Chief of the 2017-2018 book.